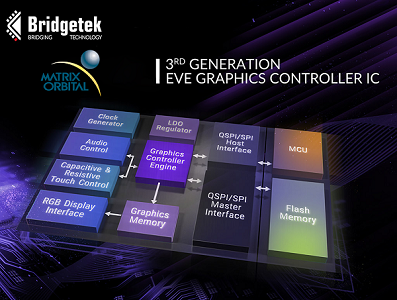 EVE 3 Matrix Orbital is proud to release the new EVE3 SPI & QSPI TFT display line. 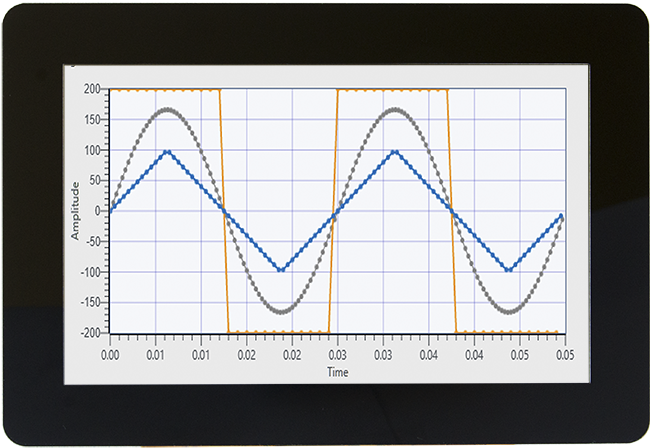 machine interfaces (HMIs) with audio and touch interface for TFT displays. The EVE3 displays include onboard serial NOR flash! 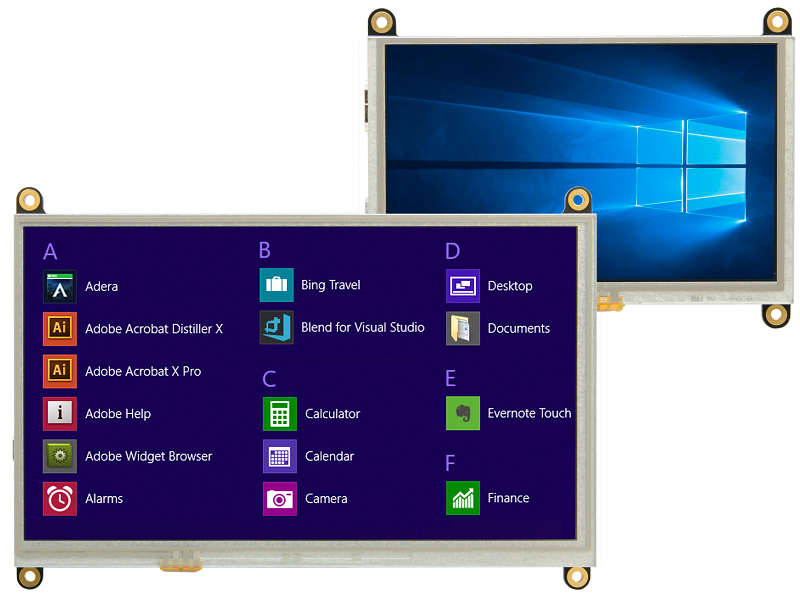 or non-touch capabilities displays with more sizes coming soon! capacitive touch panel features an adhesive strip that simplifies the mounting process. stunning Human Machine Interface (HMI) for a wide range of applications. and play compatibility with most HDMI enabled devices. sizes with resisitve, capacitive, or non-touch capabilities. Select a display by how you will connect and communicate. Including: RS232, SPI, USB, HDMI and more. Select a display by the type of visual technology. Including: LCDs, VFDs, OLEDs and TFT. Select a display by the available interface and feedback options. Including: Touchscreens, Silicone or Membrane Keypads and GPO. Featuring: simultaneous display, audio and touch functionality. Modules featuring an easy to use communication protocol. 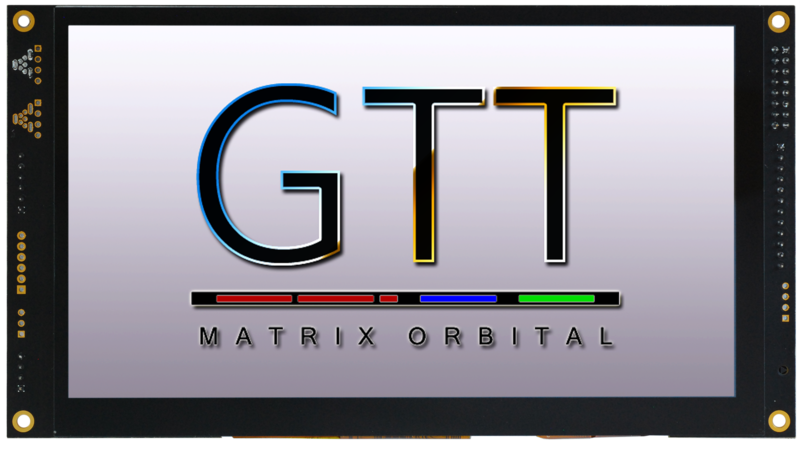 Designed and developed by Matrix Orbital and proven in over 1 Million units.